Indus Business Academy (IBA), Bangalore was established in 2001 with single programme focus in mind – Post Graduate Programme in Management. Over the years the institute has established a tradition for excellence and quality in professional education. Right from the beginning the institution has been attracting students from all parts of the country making it a 'mini-Indiapura'. Ever since its inception the founding mission at IBA has been to bring excellence in Teaching, Training, Corporate Networking and in Placements. It is not a surprise that the journey in pursuit of this mission has seen it progress into the league of Top 1% B-Schools in India, and with IBA Bangalore being ranked in the list of first 20 B-schools out of the 5000+ in country to get International Accreditation and stand apart distinctly from the rest. IBA is the first and the only Indian Business School to become a member of the Council for Higher Education Accreditation (CHEA) International Quality Group, formed to bring together high quality institutions involved in the international accreditation and support services of the world. IBA Bangalore chosen as 'ExtraOrdinaire Brand 2017-18' by Consumers & Industry, Survey by Times Network & NexBrands Inc.
Bachelors Degree or its Equivalent with a minimum of 50% aggregate (45% for SC/ST/OBC and other reserved categories) with a valid CAT / XAT / MAT / ATMA / CMAT / GMAT / GATE / GRE / State govt. entrance test score. Final year students are also eligible to apply. In previous Batches, 25% to 30% of Batch comprised of students having varied work experience up to 6 years. 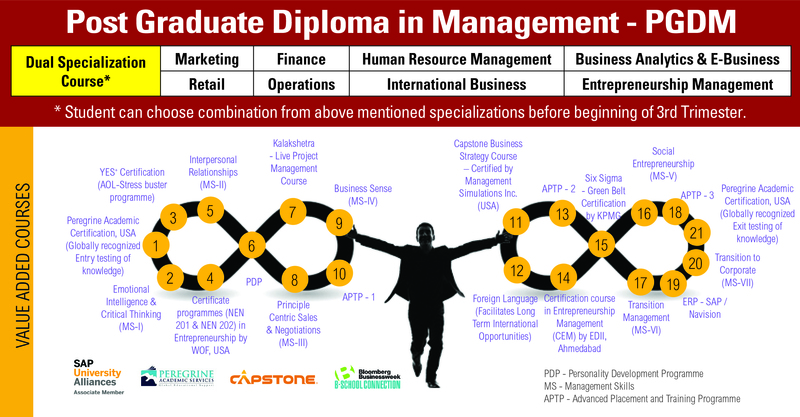 Admission at IBA is purely on Applicant's merit & performance during the Admission Phase. Please don't fall prey to any Admission Consultant and don't pay any donation for Admission at IBA. IBA has not authorized any Admission Consultant to conduct GD & P.I on its behalf. Any attempt to influence the admission process / result / decision making will disqualify the Applicant. 2018 © IBA. All rights reserved.